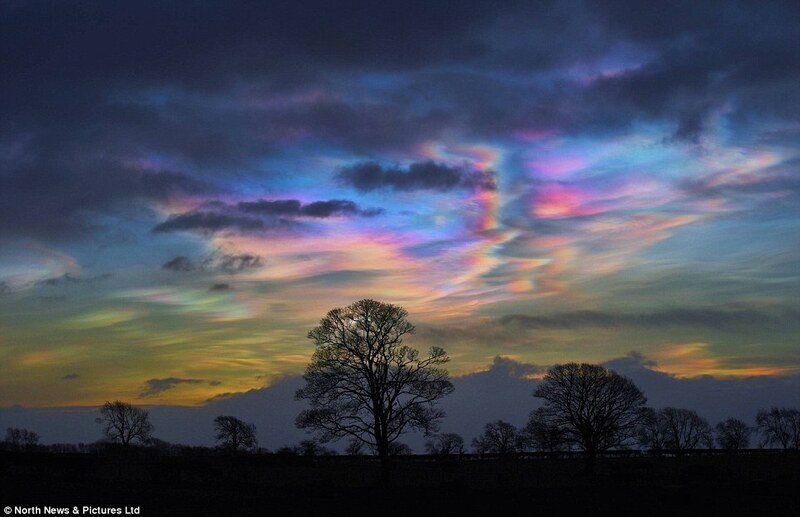 Sightings of colorful nacreous (or polar stratospheric) clouds are well above average in the UK and Ireland. Common during the winter in northern regions such as Scandinavia and Canada, many who witnessed the phenomena for the first time mistakenly reported the clouds as aurora borealis (the northern lights). However, the two have no correlation and produce significantly different molecular effects. 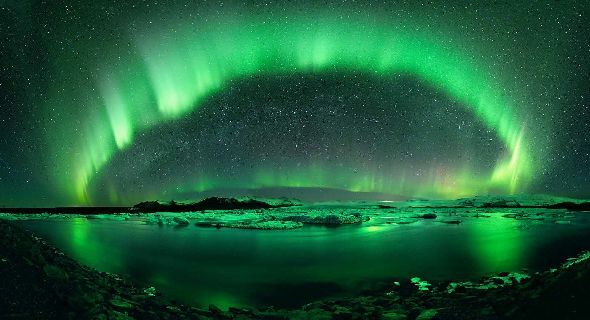 Aurora borealis occur when charged particles from the Sun collide with particles in the Earth’s atmosphere, producing waves of green, purple, and blue hues dancing across the night sky. 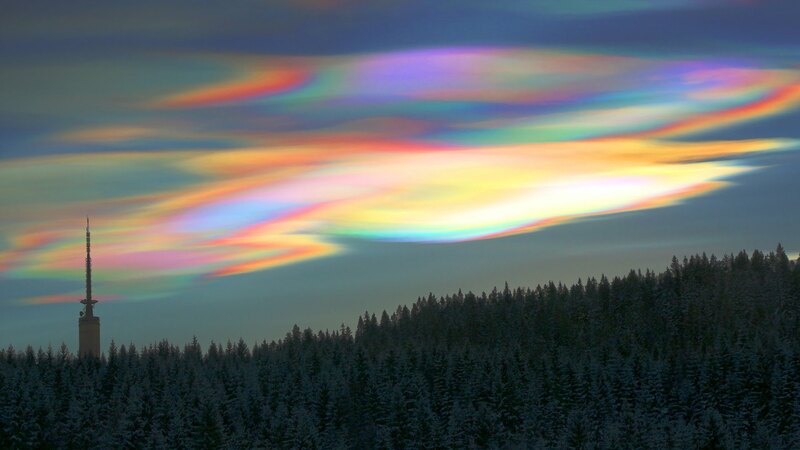 The nacreous clouds form in the stratosphere, a layer of the atmosphere ranging from 15,000m to 25,000m in altitude. Two conditions need to be present in order for the rainbow effect to occur; the stratosphere, typically very dry, must have a high concentration of moisture (caused by persistent storms) and has to measure at least -78 degrees Celsius, turning the moisture into ice crystals. During twilight, cloud iridescence occurs when light is refracted by the ice crystals in the stratosphere, producing the shimmery rainbow cloud. However, beauty comes with a price. Although wondrous, the nacreous clouds are slowly destroying the ozone layer- the area in the atmosphere which protects us from the sun’s ultraviolet rays. The ice crystals stimulate reactions between O3 (the primary elemental composition of the ozone layer) and chlorine and bromine. Past human use of chlorofluorocarbons (CFCs) in refrigerators and aerosol cans created the excess presence of chlorine in the stratosphere. The good news? We have significantly reduced the presence of CFCs in these products since 1987 when the Montreal Protocol went into effect. However, it will take an estimated 50-100 to reverse the damage to the environment. What can we learn from this? Knowledge is the key to understanding how humans are hurting the planet. Only through action can we right our wrongs. Astronomy, atmosphere, climate change, environment, global warming, Nacreous Clouds, science. Bookmark.